The 2019 NBA trade deadline had its fair share of moves. Contenders had sights set on improving their rosters for a championship run this season, other teams unloaded talented players for future assets in hopes to build a contender and some teams were dormant. The “lesser” of the two conferences had several of its top dogs make some big moves to their rosters with their sights on an NBA finals berth. Number one seed Milwaukee made a move to improve its front court when they acquired Nikola Mirotic from the New Orleans Pelicans. It wasn’t exactly the power forward everyone was anticipating the Pelicans would trade, but this is a good move for Milwaukee. Mirotic has missed some time this season, but when healthy he’s been very productive, averaging 16.7 points, 8 rebounds and shooting 44% from the field. Milwaukee sent Jason Smith, Stanley Johnson and second-round picks to the Pels. Milwaukee wasn’t the only top seed to make a move. Toronto sitting only 2 games behind the first-seeded Bucks made a big move as well, in hopes of catching Milwaukee. 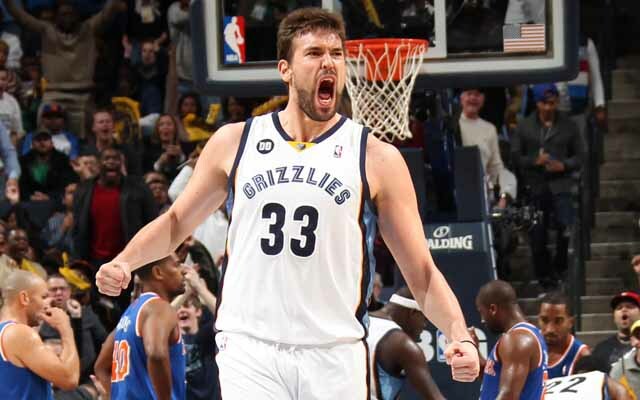 The Raptors acquired Memphis big man Marc Gasol whose offensive numbers have dropped slightly in comparison to past years but still brings a strong defensive game to the table for a team that already has a strong defense. When Kawhi Leonard, Serge Ibaka and Gasol are all on the court at the same time, teams will be very hard pressed to find easy buckets on that stingy front. Toronto sent center Jonas Valanciunas, guard Delon Wright, swingman C.J. Miles and a 2024 second-round pick to the rebuilding Grizzlies. 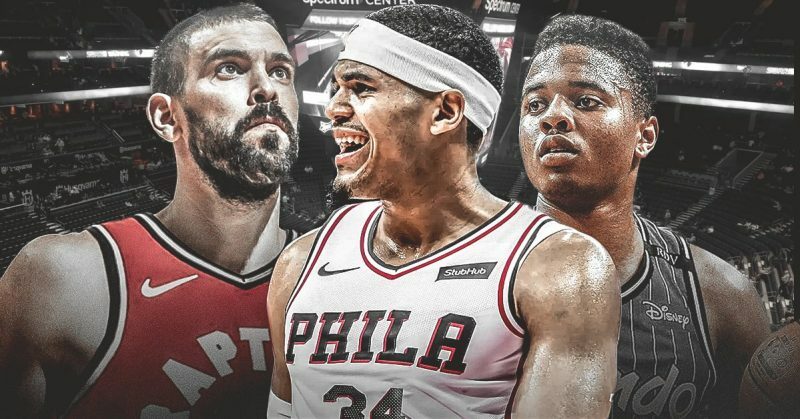 Deadlocked in a tie for the fourth seed in the East the 76ers made another splash trade this season as they acquired Boban Marjanovic, Mike Scott and Tobias Harris from the Los Angeles Clippers in exchange for Mike Muscala, Wilson Chandler, Landry Shamet and 4 draft picks. This is the second big trade the Sixers have made this season, the first being the traded that landed them Jimmy Butler earlier in the season. Philly also shipped out former first overall pick Markelle Fultz to the Orlando Magic for Jonathan Simmons, a first-round pick and a second-round pick. Fultz’s tenure was nothing short of a major disappointment for Philly, as they traded up for him and had gotten little to new production from him. Rounding out Philly’s busy week was a move that saw them quire James Ennis from Houston and the teams swapped rights for a 2021 draft pick. The final notable deal involved the East’s third seed Indiana Pacers making a move to strengthen their backcourt by adding Nik Stauskas and Wayne Baldwin IV, they also received rights to Maarty Leunen as well as a 2021 draft pick. Houston in return received cash considerations from the Pacers. Indiana is going to need all the production they can get from the newcomers as they try to fill the void left by Victor Oladipo‘s injury. The biggest trade that occurred in the Western Conference included 2 teams who are trying to build a foundation for their future. 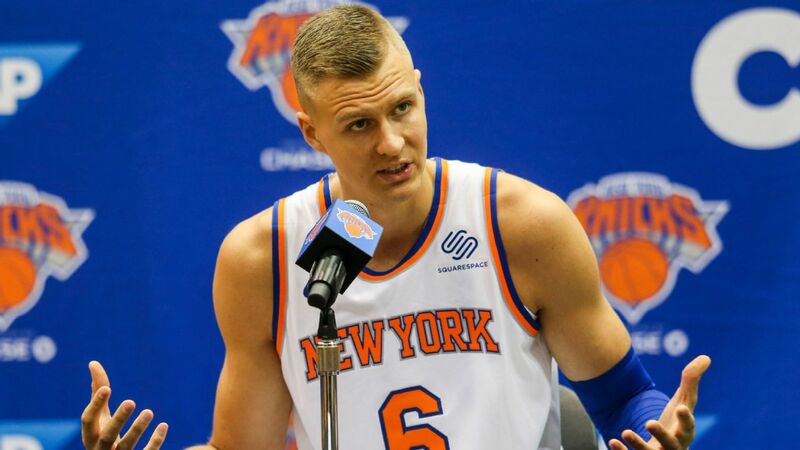 It involved former 4th overall pick Kristaps Porzingis, Courtney Lee, Trey Burke and Tim Hardaway Jr. being shipped to Dallas with Dennis Smith Jr., Deandre Jordan, Wesley Matthews and 2 future first round picks. 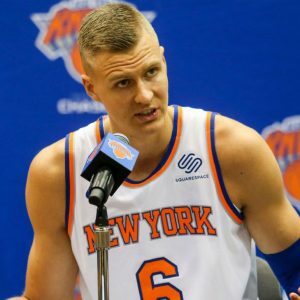 This move was essential for New York as Porzingis had voiced his displeasure with the losing direction the Knicks seem to be headed. The exciting young duo of Luka Doncic and Porzingis won’t be in action until next season as the former Knick will be out for the remainder of the season, but come next season the Mavs will be an exciting young team in the powerful Western Conference. Despite all the noise surrounding the Lakers and Anthony Davis no move was made and now the waiting game begins to see what will happen with the superstar big man over the summer. It’ll be intriguing to see how the Lakers fare the rest of the season as they pursue a playoff spot, especially the young players who were involved in trade talks with New Orleans. It was an interesting move by New Orleans to leak all the offers and it certainly ruffled some feathers around the league, we’ll see how this impacts the trade market for Davis over the summer. The Lakers currently stand at 28-27 and 2 games behind the LA Clippers for the West’s final spot. The flurry of moves in the Eastern conference will lead to an exciting close in the season and should, in turn, provide some exciting matchups in the postseason. It’ll be a nice change of taste for the east as we’ve seen Lebron James led teams make 8 straight finals. It remains to be seen if any of these improved squads can take down the team in the bay, but it certainly won’t be a weak conference this season as opposed to years in the past. With the NFL season over a lot of heads will turn to the NBA as All-Star weekend is right around the corner and the home stretch to the postseason arrives, it will be an exciting ride for sure.